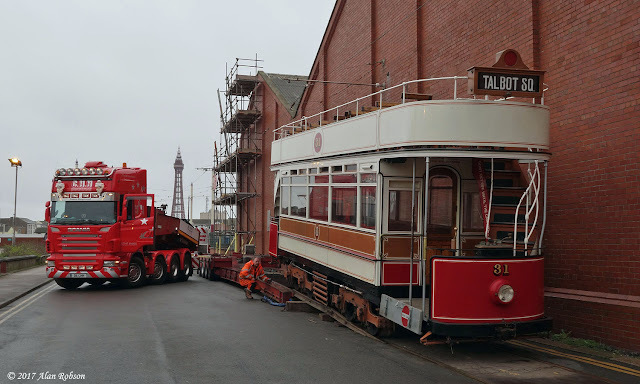 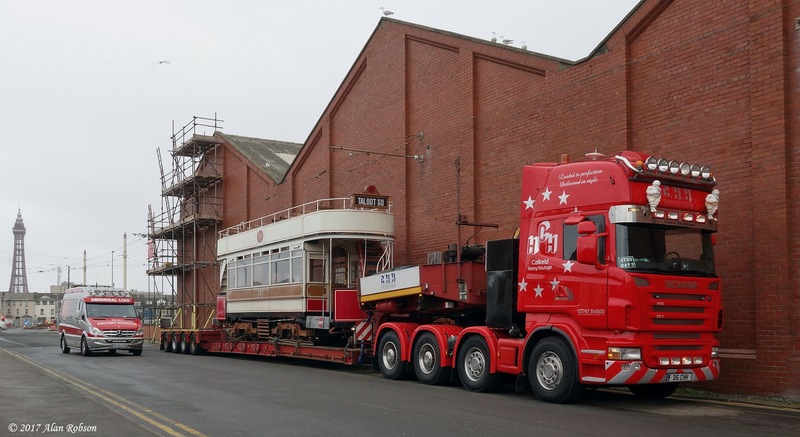 Marton Box Car 31 was loaded up in Blackpool and departed for its long trip home to Beamish on the morning of 13th March. 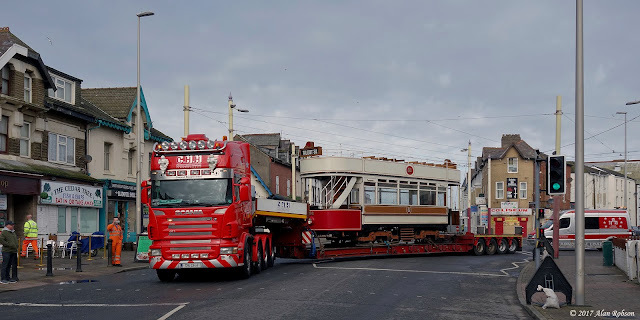 Calkeld Heavy Haulage were ready bright and early with their low-loader in Blundell Street, and before long Unimog 939 emerged with 31 from the electrical compound in the depot. 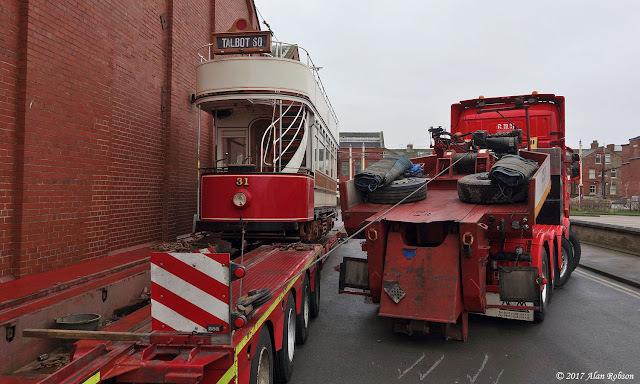 The Unimog positioned 31 in Blundell Street at the foot of the trailer rail ramp, at this point Calkeld took over and winched Marton 31 onto the back of the low-loader. 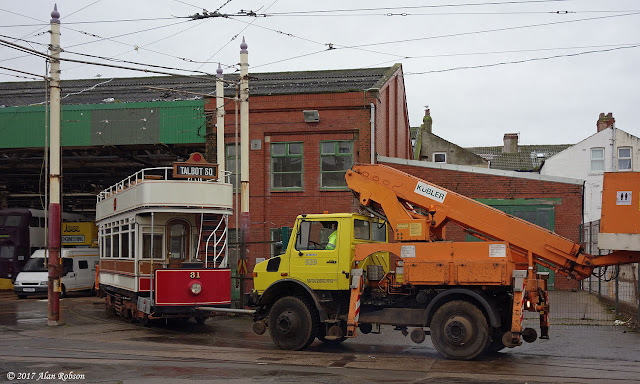 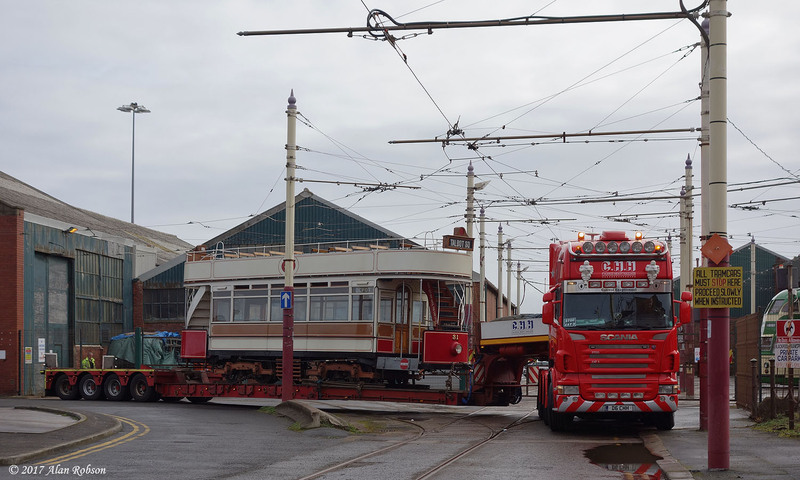 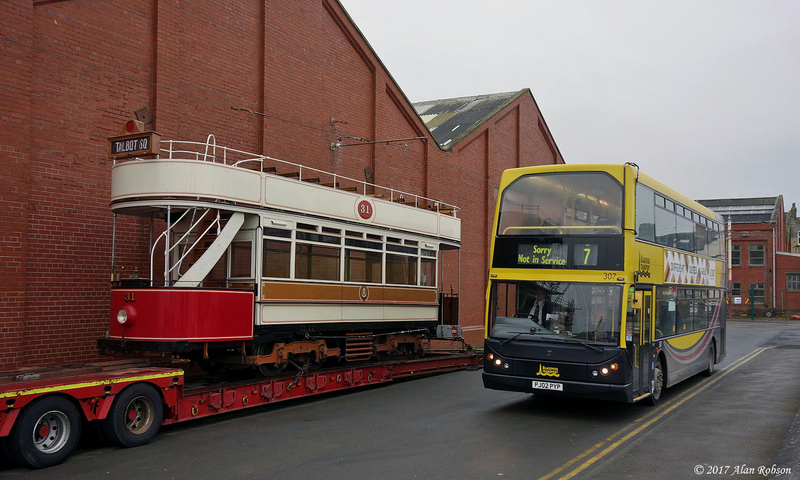 All that remained was for the tram to be chained down to the trailer, then after a short crew break the transporter and tram departed from Blundell Street shortly after 10 am.